On this episode of The Riley and Kimmy Show we play nerd/geek pop culture trivia and an examples of the Golden Age of Radio featuring Bob Hope and Jane Russell. We talk about The Brevard County Humane Society Paws on the Catwalk Fashion Show. Shoutout to Tugg the bull terrier puppy. On this episode of The Riley and Kimmy Show we play nerd/geek pop culture trivia and two examples of the Golden Age of Radio. We talk about Elizabeth Taylor, Paws on the Catwalk Fashion Show and shoutouts the Brevard County Humane Society, Tugg the Bull Terrier Puppy. George Lowe the voice of Space Ghost, Highlander Novelties in Ocoee. On this episode of The Riley and Kimmy Show we play nerd/geek pop culture trivia and an example of the Golden Age of Radio starring Jack Benny and Orson Welles. We talk about the Deland Mardi Gras On Mainstreet Dog Parade, Paws on the Catwalk Fashion Show and shoutouts to the Deland Animal Hospital, the Brevard County Humane Society, Tugg the Bull Terrier Puppy. George Lowe the voice of Space Ghost, Highlander Novelties in Ocoee. On this episode of The Riley and Kimmy Show we play nerd/geek pop culture trivia and an example of the Golden Age of Radio. We talk about the Deland Mardi Gras On Mainstreet Dog Parade, Paws on the Catwalk Fashion Show and shoutouts to the Deland Animal Hospital, the Brevard County Humane Society, Tugg the Bull Terrier Puppy. Special episode of The Riley and Kimmy Show. Today is the anniversary of Tennessee Williams passing...we play a Golden Age of Radio production of The Glass Menagerie. On this episode of The Riley and Kimmy Show we play nerd/geek pop culture trivia and an example of the Golden Age of Radio. We talk about the Deland Mardi Gras On Mainstreet Dog Parade and shoutout to the Deland Animal Hospital. On this episode of The Riley and Kimmy Show we play nerd/geek pop culture trivia and an example of the Golden Age of Radio. We talk about the Melbourne Toy and Comic Con with shoutouts to artist John Beatty Tugg the bullterrier puppy, Kim and Blake Ovard. On this episode of The Riley and Kimmy Show we play nerd/geek pop culture trivia and an example of Clark Gable on the Golden Age of Radio. On this special episode of The Riley and Kimmy Show in honor of George Washington’s birthday we play Golden Age of Radio tributes. On one old time radio production actor Orson Welles portrays George Washington. On this episode of The Riley and Kimmy Show we play nerd/geek pop culture trivia and an example of Humphrey Bogart on the Golden Age of Radio. On this episode of The Riley and Kimmy Show we play nerd/geek pop culture trivia Edgar Bergen and Charlie McCarthy on the Golden Age of Radio. On this episode of The Riley and Kimmy Show we play nerd/geek pop culture trivia and actor Kevin McCarthy on the Golden Age of Radio. Video thank you/shoutout to those who supported The Riley and Kimmy in the 2017 Spacie Awards. 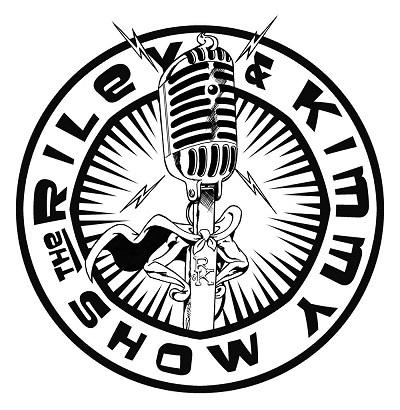 On this episode of The Riley and Kimmy Show we talk about The Spacie Awards, Melbourne Toy and Comic Con. We play nerd/geek pop culture trivia and Jack Benny on the Golden Age of Radio. 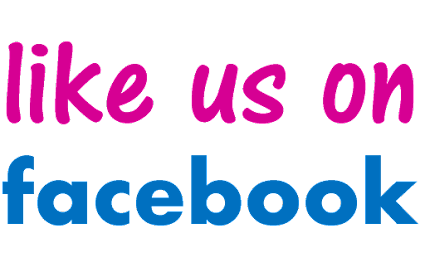 Shoutouts to John Beatty, Tugg the Bull Terrier Puppy, Kim and Blake Ovard, Dion Leonhard, Tim Proctor, Mike Kales, Patty and Eric Woller. On this episode of The Riley and Kimmy Show we talk about Abe Lincoln. We play nerd/geek pop culture trivia and an example of the Golden Age of Radio. On this episode of The Riley and Kimmy Show we talk about Superman, John Wick movie review by Kimmy. We play nerd/geek pop culture trivia and an example of a comic book that became a hit on the Golden Age of Radio, movies and television, TV. Shoutouts Big J’s Toys in Orlando, Mike Pries the promoter of the Melbourne Toy and Comic Con convention. On this episode of The Riley and Kimmy Show we talk about Big J’s Toys in Orlando, Florida. We play nerd/geek pop culture trivia and an example of a comic book that became a hit on the Golden Age of Radio. On this episode of The Riley and Kimmy Show we talk about Big J’s Toys in Orlando, Florida. We play nerd/geek pop culture trivia and an example of the Golden Age of Radio featuring Lon Chaney Jr.
On this episode of The Riley and Kimmy Show we talk about Big J’s Toys in Orlando, Florida. We play nerd/geek pop culture trivia and an example of the Golden Age of Radio featuring John Dehner. On this episode of The Riley and Kimmy Show we talk about Jules Verne, dogs, Big J’s Toys in Orlando, Florida. We play nerd/geek pop culture trivia and an example of the Golden Age of Radio featuring Orson Welles. On this episode of The Riley and Kimmy Show we talk about Charles Dickens, Big J’s Toys in Orlando, Florida. We play nerd/geek pop culture trivia and an example of the Golden Age of Radio featuring Orson Welles. 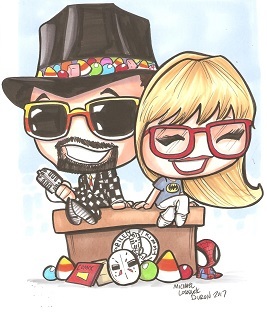 On this episode of The Riley and Kimmy Show we talk about a new Orlando, Florida Toy/Collectible/Comic Book store. We play nerd/geek pop culture trivia and an example of the Golden Age of Radio. On this episode of The Riley and Kimmy Show we talk about a new Orlando, Florida Toy/Collectible/Comic Book store. We play nerd/geek pop culture trivia and an example of the the Golden Age of Radio. On this episode of The Riley and Kimmy Show Kimmy we play nerd/geek pop culture trivia and an example of the Western on the Golden Age of Radio. On this episode of The Riley and Kimmy Show Kimmy gives her review of the new TV show Riverdale. We play nerd/geek pop culture trivia and an example of the Golden Age of Radio. On this episode of The Riley and Kimmy Show we play nerd/geek pop culture trivia and an example of the Golden Age of Radio featuring actor Boris Karloff. On this episode of The Riley and Kimmy Show we talk about Clark Gable. We play nerd/geek pop culture trivia and an example of the Golden Age of Radio.